Special Artist Presentations This Weekend Only! As a special treat for Member Appreciation Weekend we are hosting two fabulous and acclaimed artists. We invite you all (even if you aren’t a member) to come experience these wonderful artists as they showcase their talent and discuss their work. Sisyu, a calligraphy artist, will conduct a demonstration of her unique style of calligraphy on Sunday, December 15 at 12:30 pm in the Morikami Theater. We are proud to host this incredible talent and give each of you the chance to see, in-person, this beautiful practice. Sisyu has been practicing calligraphy since she was 6 years old, and has since made a name for herself as a skilled professional. Sisyu reinvents the classical art of calligraphy by integrating her own unique and artistic style . Every character she draws expresses not only its actual meaning, but also the emotion behind it. In her hands, Sho (Japanese traditional calligraphy), can become a universal means of communication, connecting even non-Japanese speakers to her work. Sisyu’s works have been showcased at “Future Pass, from Asia to the World”, La Biennale di Venezia 2011 in cooperation with TEAMLAB, in the Paris collection for AGURI SAGIMORI, the Louvre (2009), and the Arab-Japan Conference in Alexandria (2007). Sisyu was also chosen as a member of the Japan delegation to Argentina, Uruguay and Chile to introduce Japanese culture to these South American nations in 2009. You can see Sisyu at work in the video below. Start at minute 16:25 for the piece she’ll be displaying here this weekend! TANABE Shochiku, a bamboo craftsmen will be present Sunday, December 15 at 3:30 pm to conduct a presentation and gallery talk showcasing his work in our current exhibit Contemporary Kōgei Styles in Japan . Join us to discover the artist’s perspective on his critically acclaimed work, and see this exhibit in a new light. TANABE Shochiku, who assumed his artist name in 2008, was born in Osaka Prefecture in 1973. 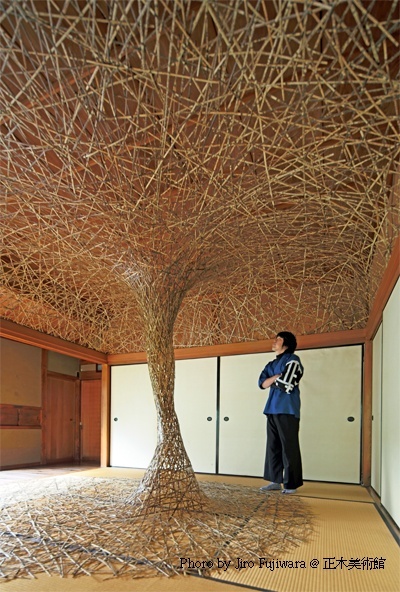 In 1999, after graduating from the Department of Sculptureat Tokyo University of the Arts, Tanabe took part in a two-year training program at the Oita Prefectural Bamboo Craft and Training Support Center. Today, he is one of the leading bamboo craftsmen in Japan. His Tsunagari series of bamboo crafts utilize the inherent pliancy of bamboo, while adopting the traditional methods of bamboo crafts passed down from his teacher and mentor Tanabe Chikuunsai I. His work captures the essence of the medium, both conceptually and visually, a skill which has garnered Tanabe international acclaim, particularly in the United States and Europe. This is evident by the many international exhibitions showcasing his work including Golden Week on Japanese Art (Seattle Asian Art Museum, 2006) New Bamboo: Contemporary Masters (Japan Society, New York, 2008), and Modern Master (Bayern Gallery, Munich, 2012). Tickets will be distributed on a first come first served basis in the museum lobby starting at 10am on Sunday, December 15. Tickets cannot be reserved in advance and ticket quantities are limited. OK, wishing on a star is a Disney theme, I know. But it is very fitting for a romantic (but not mushy) pastime at the Morikami. Tanabata originated more than 2,000 years ago with an old Chinese tale called Kikkoden. Once there was a weaver princess named Orihime and a cow herder prince named Hikoboshi living in space. After they got together, they were playing all the time and forgot about their jobs. The king was angry at them and separated them on opposite sides of the Amanogawa River (Milky Way). The king allowed them to meet only once a year on July 7th. This is why tanabata is also known as the star festival. It’s believed that Orihime and Hikoboshi can’t see each other if July 7th is rainy, so people pray for good weather and also make wishes for themselves. 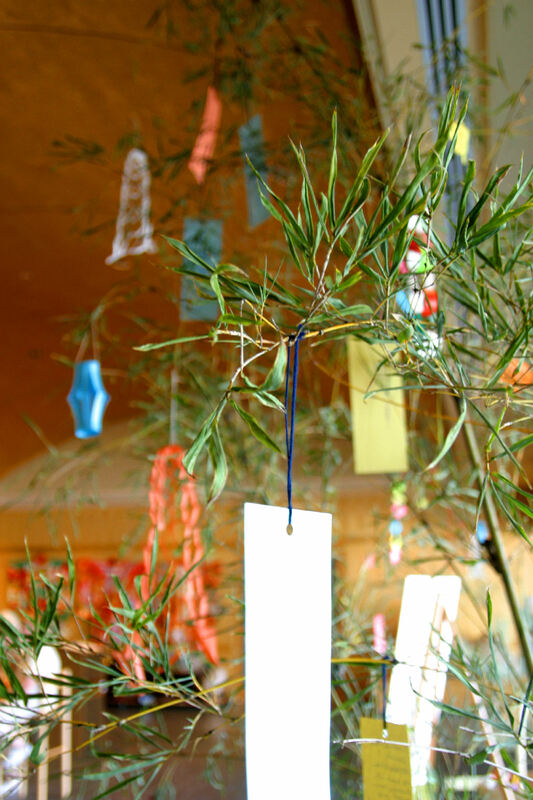 To hang a wish is free and filled with tradition and another reason to swing by the Morikami this summer. There are so many cool stories behind Japanese traditions it makes you wonder if Walt Disney grabbed the idea of wishing on a star from another culture.